Film director and writer Alfredo (“Fredy”) Bolongaro-Crevenna (1914-1996) visited Ajijic in about 1945 with movie producer Francisco Cabrera. Their visit was noted by Neill James in her 1945 account of the village. Bolongaro-Crevenna and Cabrera played very significant roles in the golden age of Mexican cinema. Bolongaro-Crevenna directed about 140 films between 1945 and 1995, in genres ranging from melodramas to comedy, horror and science fiction. Bolongaro-Crevenna was born in Frankfurt, Germany, on 22 April 1914 and was more commonly known as Alfredo B. Crevenna. He studied chemical engineering at Oxford University in the U.K. before returning to Germany to take a position at the UFA film studios in Berlin. Crevenna married his high school sweetheart Renate Horney (1916-2009), the youngest daughter of German-American psychoanalyst Karen Horney (who also visited Ajijic, in 1945). In 1938, at age 24, Crevenna left the UFA film studios and moved to New York City, with the intention of finding work eventually in Hollywood. After several wasted months trying to obtain a work visa, he accepted an invitation from an old school friend to go to Mexico City. At a welcome party, he was introduced to the film producer Francisco de P. Cabrera. Cabrera was about to start shooting La noche de los mayas (1939) and asked Crevenna to take a look at the script. Crevenna did not at that time speak Spanish, so he translated the script into English overnight and then made various suggestions to tighten up the structure. Thus began the lengthy and exceedingly fruitful working relationship between the two men. Crevenna never did return to live in New York, and eventually became a naturalized Mexican citizen. Crevenna and Renate Horney settled into family life in Mexico City and Cuernavaca. The couple had at least two children: Angela Karen Bolongaro-Crevenna (1936-1999) and Pedro Bolongaro-Crevenna (ca 1940-1988). In 1960, Renate Crevenna exhibited in a group show of German artists in the Galerias Chapultepec in Mexico City. The show also featured a work by Otto Butterlin. In 1943, Cabrera suggested that Crevenna begin his career as a director in Mexico with the movie Santa in a version starring Esther Fernández and Ricardo Montalbán. Unfortunately, at that time the U.S. completely controlled the supply of film stock. When the U.S.-based Office of the Coordinator for Inter-American Affairs objected to the use of a German-born director, Cabrera was forced to work with Hollywood director Norman Foster, even though Foster did not speak a word of Spanish. His films included Neither Blood Nor Sand (1941), Muchachas de uniforme (1950), Mi esposa y la otra (1951), Una mujer en la calle (1955), Orquídeas para mi esposa (1954), Talpa (1956), Where the Circle Ends (1956), Yambaó (1957), Adventure at the Center of the Earth (1965), La venus maldita (1967), La Satánica (1973). He collaborated on many projects with the legendary Spanish filmmaker Luis Buñuel. Many of Crevenna’s movies won awards. For instance, Talpa received several ”Ariel“ awards and was nominated for Best Picture in 1957. Alfredo Bolongaro-Crevenna, described by those who knew him as tall, polite, and with a wonderful sense of humor, died in Mexico City on 30 August 1996, leaving a legacy that included some of the finest Mexican movies of all time. Angela Karen Bolongaro-Crevenna, the German-born daughter of Alfred Bolongaro-Crevenna and Renate Horney, and grand-daughter of Karen Horney, had an additional close link to the Lake Chapala area. After the family moved to Mexico, Angela become a naturalized Mexican citizen. She met German-born otolaringologist Dr. Carl “Hannes” Lohmann in 1955 and married him three years later. They spent most of their time in the U.S. but were frequent visitors to Mexico and had a winter home in Quintana Roo. From 1993, they began to spend winters at Lake Chapala. They bought a home in Chapala Haciendas and, in 1995, moved permanently to the area. Even after Angela Lohman (née Bolongaro-Crevenna) died in 1999, her husband Carl continued to reside in Chapala until his own death in a Guadalajara hospital a decade later. Cinema Reporter. 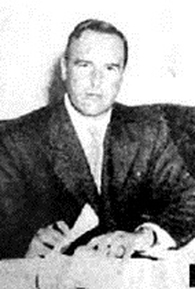 “Crevenna, Alfredo Bolongaro”, Cinema Reporter. No. 482, 11 October 1947, p. 16. José Luis Gallegos C. “Alfredo B. Crevenna colaboró con Luis Buñuel.” Excélsior. Espectáculos. 30 November 1990, p2. Jaime Hernández.. “Alfredo B. Crevenna. Sólo en México no protegen al cine.” Novedades, 10 August 1984, p 1-2. Movie producer Francisco Cabrera spent some time in Ajijic in the mid-1940s. Francisco Cabrera was beginning his career as a film writer and producer when he visited Ajijic in about 1944 with fellow producer Alfredo Bolongaro-Crevenna. Their visit was noted by Neill James in her 1945 account of the village. Cabrera, whose birth name was Francisco P. de la Cabrera, had an acting role in the 1932 movie Carceleras, directed by José Buchs, which was the first Spanish film with direct sound recording. In 1938, Cabrera began working in the then nascent Mexican movie industry. 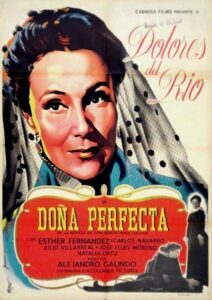 His first title as producer was Refugiados de Madrid (1938), followed by Noche de los mayas (1939), Ni sangre ni arena (1941) and Santa (1943), which he wrote. In 1944, at about the time he visited Ajijic, Cabrera wrote and produced Adán, Eva y el diablo, which was directed by Alfredo Bolongaro-Crevenna. In 1946 Cabrera was one of the founding members of Mexico’s film academy: the Academia Mexicana de Ciencias y Artes Cinematográficas, founded on 3 July of that year. The following year, the academy launched its Ariel awards, Mexico’s equivalent of the Oscars. This was the golden age of Mexican movies, with as many as 85 movies being made each year. The Ariel awards were held annually until 1958 and, after a lapse of 14 years, were re-initiated in 1972. Other Cabrera productions included La malquerida (1949), Un día de vida (1950); Doña Perfecta (1950), which won three Ariel awards in 1952, He matado a un hombre (1963) and Amor de adolescente (1965). He also both wrote and produced the movies ¿A dónde van nuestros hijos? (1956) and Los hijos que yo soñé (1964). Cabrera died in Mexico City on 3 July 1965, coincidentally, the 19th anniversary of the founding of the Mexican film academy. Author and filmmaker Richard Zdenko Moravec is known to have visited Ajijic in about 1945, where he met Barbara Keppel-Compton who later wrote To The Isthmus, a novel which includes fact-based passages about their time there. The pair, both of whom had previous marriages, became husband and wife in 1951. Artist Sylvia Fein remembers Moravec as a friendly, interesting “darling man”, who walked up and down the beach with her when she was revisiting Ajijic with her husband Bill, who had just returned from military service. Fein recalls that Moravec was a friend of Salvador Dali, and talked a lot about Dali’s piano. Richard Zdenko Moravec was born 24 November 1894 in Zagreb, Croatia, Yugoslavia. He appears to have lived in Paris during the first world war and shortly after the war ended, wrote a short book about Italian-Yugoslav relations. The 47-page work, published by Lang, Blanchong et Cie. in 1919, was entitled L’Italie et les Yougoslaves, avec un exposé des relations italo-yougoslaves pendant la guerre et des documents à l’appui texte imprimé (“Italy and the Yugoslavs, with a statement of the Italian-Yugoslav relations during the war and documents to support the printed text”). Moravec left France in 1919 and emigrated to the U.S., arriving there on the SS Chicago from Bordeaux, France, on 29 July. Moravec’s first wife, Selma, was born in Dallas, Texas on 26 February 1906. They were already married by the time Selma gained her A.B. degree from the University of California at Berkeley in 1929. The couple remained in the San Francisco area, and are recorded as living in Oakland, California in 1934. In 1940 the couple was still definitely together since they are listed as disembarking on U.S. soil (in New York on 18 July), having crossed the Atlantic aboard the SS Manhattan. Moravec appears to have been a chemical engineer and is credited or co-credited for several U.S. patents, most in the 1930s on behalf of the Shell Development Company of San Francisco. 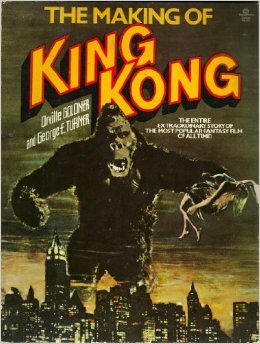 In 1955, Richard Moravec and Barbara Moravec, both of Yellow Springs, Ohio, filed for joint copyright of the motion picture With Malice Toward None.